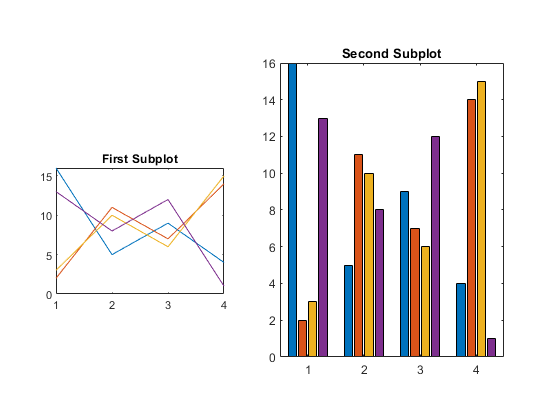 3/03/2015 · Use subplot(x,y,z) to put multiple plots on one screen.... Note there is a subtle alternative called plt.subplots() (with an "s"). This approach is a little different from the classical matlab style and allows you to declare the figure and a tuple of axes in a single line, e.g. 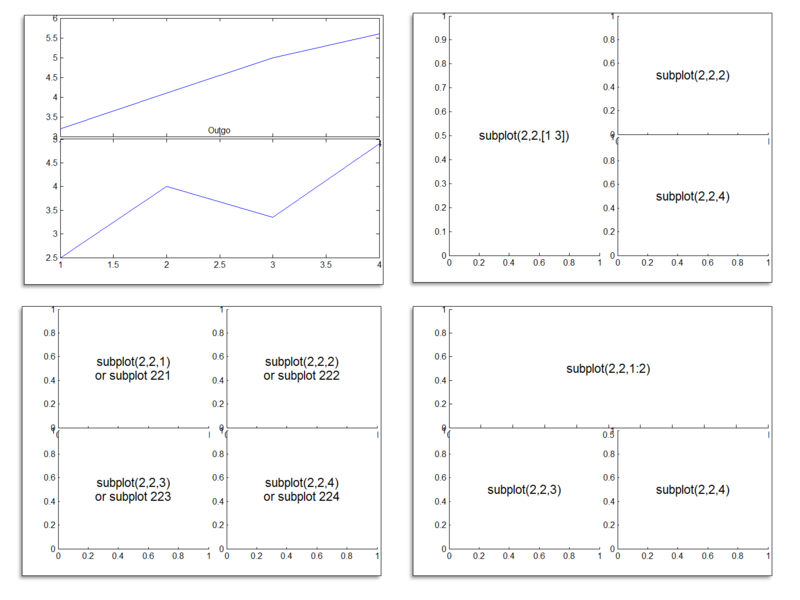 fig, (ax1, ax2) = plt.subplots(1, 2, sharey=True). I would like to create a figure with a few subplots, at least one of these being a data table to show the statistics (mean, st. dev., st. err.) of some measurements in the plots. creating database in matlab. Learn more about database I want to create a database of images,containing various fields like image name,brightness value of image and colorfulness of image etc.after filling the values in database ,i want to retrieve specific images based on brightness & colorfulness features of image.how can i do this? You can always play with the 'position' property of the axis to adjust as you wish. I've done things like create a 3x3 grid then delete four to leave five with the one centered in the middle to save a little in creating the ones where wanted. I found another way. First I created a subplot with a legend, then placed the legend on the appropriate place on the plot, I created a M-code from the plot and got the position of the legend, then used the position for all subplots. . . . Note there is a subtle alternative called plt.subplots() (with an "s"). This approach is a little different from the classical matlab style and allows you to declare the figure and a tuple of axes in a single line, e.g. fig, (ax1, ax2) = plt.subplots(1, 2, sharey=True).